Rain before the sunset formed puddles to shoot reflections. This image was captured approximately 20 minutes after sunset. 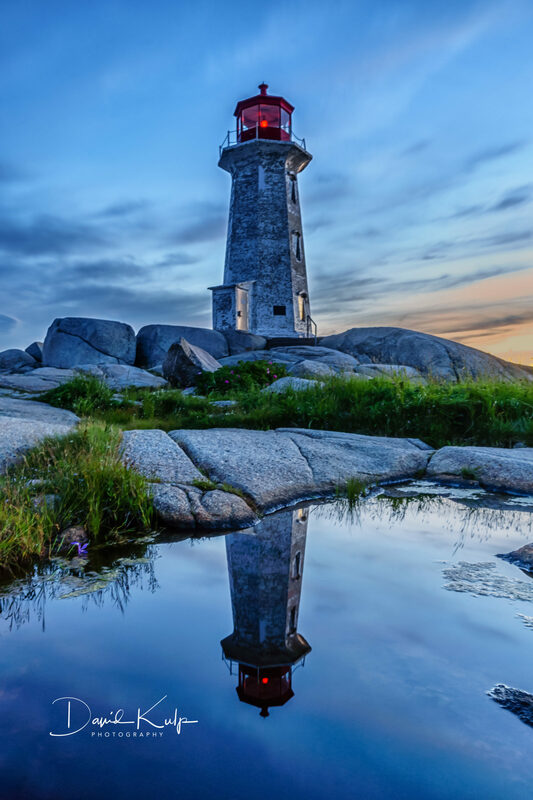 A Weathered Peggy's Cove Lighthouse in Nova Scotia Canada Reflecting in all directions.